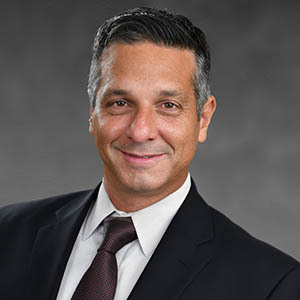 Dr. Ronald F. Piccolo is the Chair of the Department of Management and the Galloway Professor of Management in the College of Business at the University of Central Florida. From 2009 – 2016, he served as the Cornell Professor of Management and Academic Director of the Center for Leadership Development & Executive Education in the Crummer Graduate School of Business at Rollins College. Dr. Piccolo earned a Ph.D. in management from the University of Florida, an M.B.A. from Rollins, and a Bachelors of Science in mathematics from Stetson University. He has been a visiting scholar at Drexel University in Philadelphia, Jacobs University in Bremen, Germany, and the Amsterdam Business School. Dr. Piccolo teaches or has taught graduate-level courses in leadership, organizational behavior (OB), research methods, and management strategy. At Rollins College, he was the recipient of the Cornell Distinguished Teaching Award (2015-2016) and the Cornell Distinguished Faculty Award (2011-2012) for outstanding teaching, research and service, and he was a keynote speaker (2012, 2013, 2014) on “Teaching Effectiveness” for the OB division of the Academy of Management.